Gibbs Guides was created by Andrew Gibbs, fusing his passion for writing with a desire to help and better connect with fellow modellers. Andrew’s been an enthusiastic modeller since he was a small boy in the early 1970s, and has accumulated a wide breadth of experience with many types of RC models, electric power models including radio controlled electric aircraft of many types, as well as electric power boats, hovercraft, helicopters and cars. An early teacher’s report wrote “Andrew must learn there is more to life than trains and planes”. This teacher had a point, but so far nothing has succeeded in dampening his enthusiasm for transport of all kinds, especially the model variety, and especially electric powered model aircraft! Andrew is a model flying instructor at CADMAC, one of the largest model flying clubs in the UK and frequently helps club members with their electric power models. Some years ago he designed and built a three-head electric RTP system which he uses to help young modellers learn about aeromodelling. As well as being the name behind Gibbs Guides, Andrew also writes a regular electric column called "Talking Electrics" for AMI (Aviation Modeller International). This monthly feature is written in his usual approachable and friendly style, with an emphasis on electric modelling education. He also carries out product evaluations and reviews from time to time. He has also had his work featured in magazines such as RCM&E, Q&EFI, Flying Scale Models, and others. As well as being a keen aeromodeller, his career has included periods spent working as a flying club instructor, air taxi pilot on a twin engine Piper Navajo Chieftain, airline pilot and corporate jet pilot. He has a degree in transport design and in 1989 designed White Diamond, an innovative high performance microlight design concept. A detailed model of the design was exhibited both at London’s Design Centre and at Expo90, a Japanese design exhibition showcasing the best of British Design. White Diamond was also featured in magazines such as Flight International, Design and Engineering. In addition to Andrew’s aviation experience, he also has experience as a classroom educator, having taught in schools and lectured in product design at a university. All this experience and more goes into each and every Gibbs Guide! Technical consultant to Gibbs Guides is Toni Reynaud. Toni is also a keen modeller of many years’ standing and has long experience in writing technical documentation as well as testing and evaluating electrical and electronic equipment. He spent the early part of his career in the Royal Air Force as an electronics technician and instructor, and the latter part in a spacecraft production company in a technical documentation and instructional capacity. Now retired, Toni has returned to aeromodelling and is now teaching himself aerobatics using an electric model. Toni lives with his wife in Hampshire, not far away from Andrew. How did Gibbs Guides get started? Andrew started Gibbs Guides in 2005 in response to a model distributor’s request for a battery charger instruction manual. This assignment led to the first Gibbs Guide, the best selling User Friendly Guide to the Super Nova, for the popular battery charger of the same name on sale 2002 - 2005. 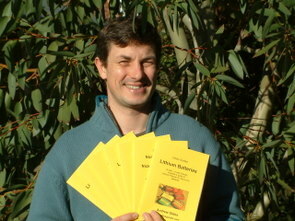 Since then, he’s gone on to expand the range to its present size, with more guides on the way. Recently, following a serious health challenge Andrew has developed an appreciation of the power of natural health; new guides on this subject are expected in the future.